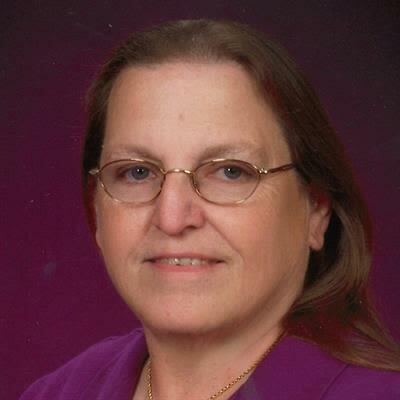 Joyce E. Collier, of Brady, passed away on December 26, 2018. She was born in San Antonio to Grace (May) & Charles Jordan on September 7, 1951. She married Larry Collier on December 14, 1973. She graduated from Howard Payne University with a B.S. in Education. She spent most of her career in Uvalde as a teacher. She was a lifelong Girl Scout and Girl Scout Leader. She retired and enjoyed traveling and sewing. Her grandchildren were her greatest joy. Joyce Collier is survived by daughters, Lisa Collier and Susan (Jack) Miller, father, Charles Jordan and his wife, Geraldine Jordan, grandchildren; William Collier, Joshua Collier, Hayden Hermes, Tara Miller, Grace Spurgin and Emily Spurgin. Viewing will be 11:00am to 1:00pm Wednesday, January 2, 2019 at Robert Massie Funeral Home. Funeral will be held 2:00 PM Wednesday January 2, 2019 at Robert Massie Riverside Chapel with Rev. Kevin Mc Donald, officiating. Burial will follow at 12:00noon on Friday January 4, 2019 at Morris Ranch Hilcrest Cemetery in Fredericksburg, TX. Arrangements are made by Robert Massie Funeral Home.